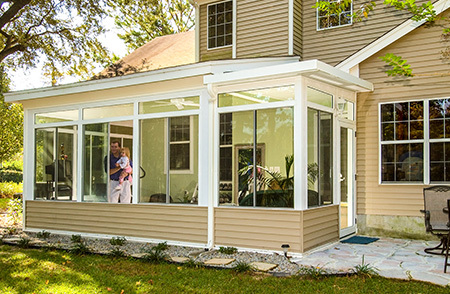 A pergola makes a smart and eye-catching addition almost any kind of home. It provides a touch of elegance to any outdoor living area and offers partial shade that is ideal for enjoying a sunny day outside. If you live in Wildwood, New Jersey, or a neighboring community and you’d like to make your home a little more like your own personal seaside resort, SRA Home Products is here to help. We have spent years installing a range of home improvement products, so you can trust us to enhance your home with our timely and effective installation. Plus, we only install the finest products available, including pergola options from the industry-leading manufacturer TEMO. They are made of extruded aluminum, which is much stronger than the other available materials, and will never crack, rot, or peel due to the weather. 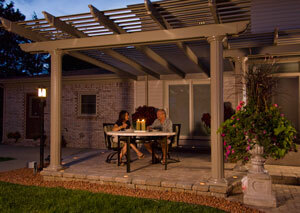 Each pergola has an electrostatic finish that helps prevent the need for maintenance. 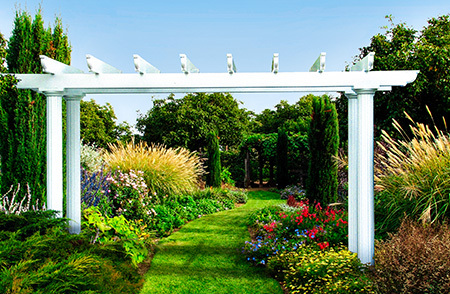 Unlike wood pergolas, which can be damaged by termites and other pests, our pergolas will never be infested by insects. They can be customized with any of three column styles, and you can even choose between a freestanding pergola and one that is attached to the house. To find out more about our pergola selection, contact SRA Home Products today. We are proud to serve homeowners in and around Wildwood, NJ, providing them with the home improvement services that they need with the respect and outstanding customer service that they deserve.